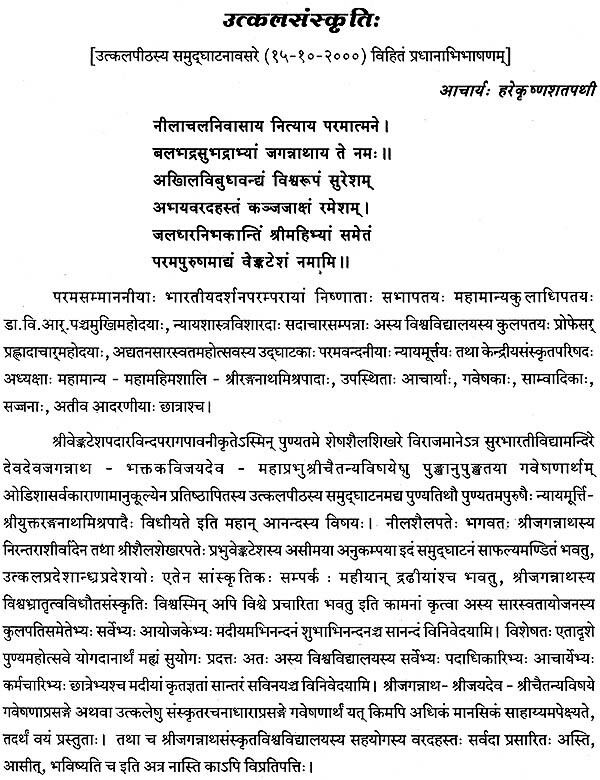 The Rashtriya Sanskrit Vidyapeetha, Tirupati was established by the Govt. 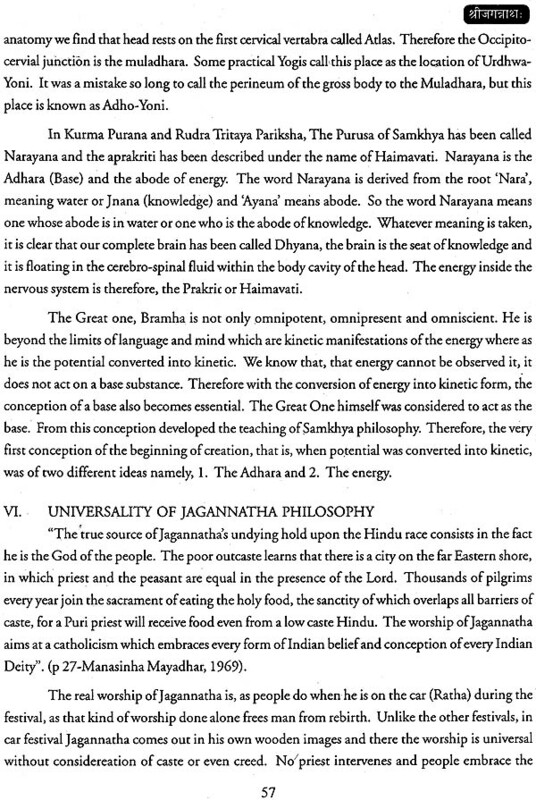 of India for the preservation of in-depth learning of Shastras, propagation of Sanskrit language, literature and philosophy. In realising its objectives the Vidyapeetha has designed and launched a number of academic programmes for the dissemination of knowledge hidden in the treasure troves of Sanskrit. The Govt. of Orissa, headed by the then Chief Minister Vidyavachaspati Sri Janaki Ballav Patnaik had sanctioned a generous grant of Rs. 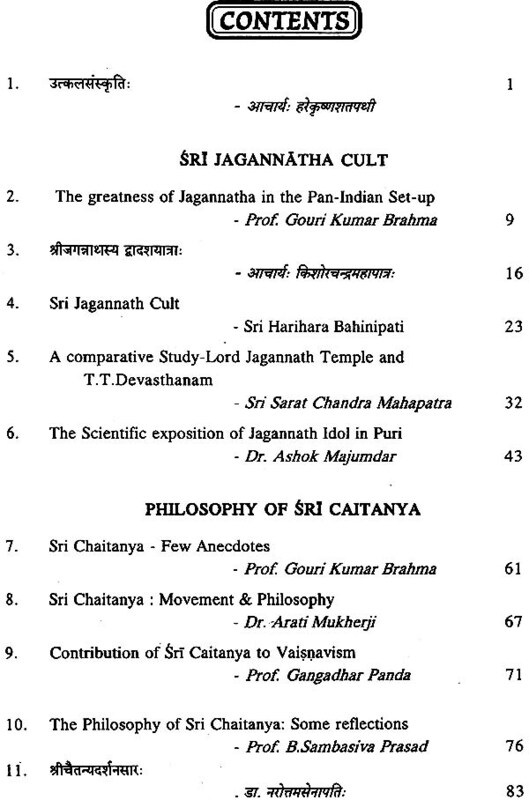 50 lacs as a corpus fund for the establishment of Orissa Chair in this Vidyapeetha with the aim to propagate and do intensive as well as extensive research on SriJagannatha Cult, Sri Chaitanya Philosophy and Sri Jayadeva literature. The Chair was inaugurated by Hon'ble Justice Sri Ranganath Misra, Former Chief Justice of India andChairman, Central Sanskrit Board during his visit to Vidyapeetha on 14th October, 2000. 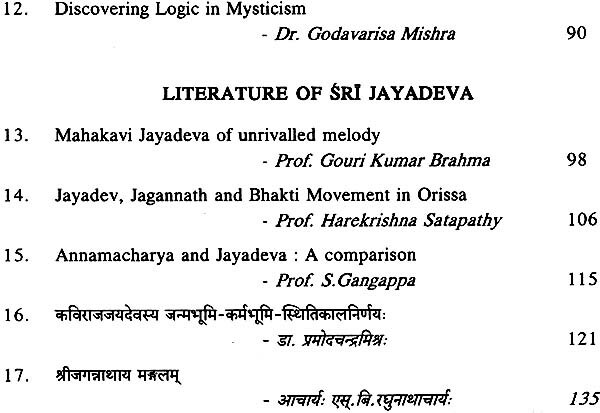 In fulfilling one of the objectives framed for the establishment of the Chair, the Vidyapeetha has organised a National Seminar on Sri Jagannatha Cult, Sri Chaitanya Philosophy and Sri Jayadeva Literature during 11-13 September, 2001. Eminent scholars from different parts of the country participated in the Seminar and presented their valuable papers. 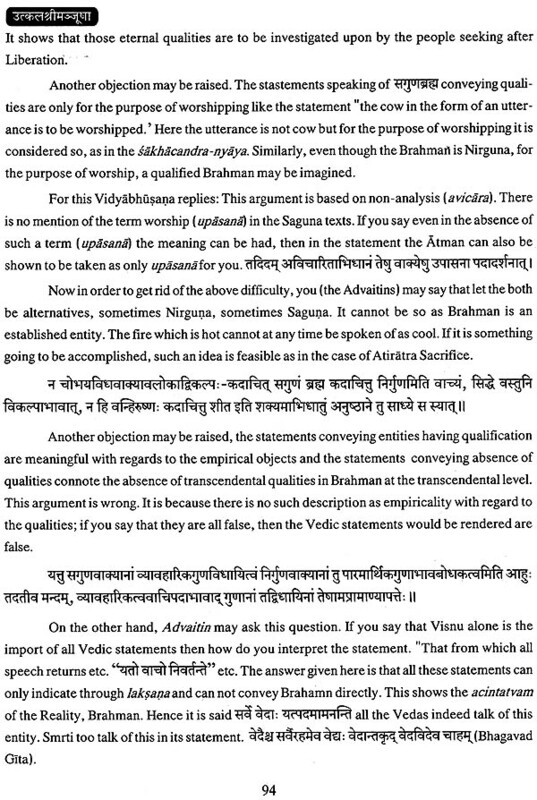 The proceedings of the Seminar, being published in a book form edited by the staff of Orissa Chair consist of seminorial papers with thought provoking ideas presented by the gal- axy of eminent scholars on the three aspects of the Chair i.e. 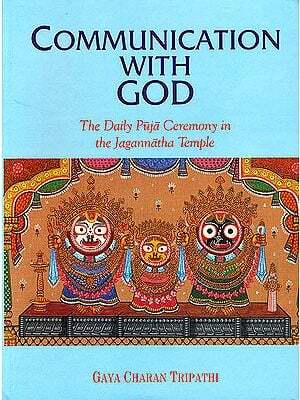 Sri Jagannatha Cult, Sri Chaitanya philosophy and Sri Jayadeva literature. I hope the contents of the book would highlight the significance of Orissa culture and unravel the thoughts hither to unknown on all three aspects of the Chair. 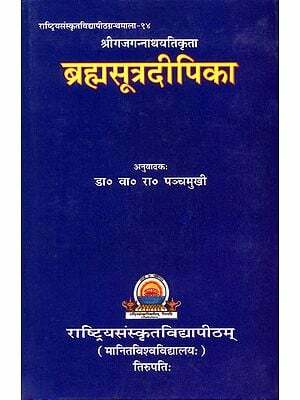 I feel publications of this type full of time-tested messages of great poets and philosophers will definitely strengthen the national integration and reinforce the relevance of Sanskrit in the modern world. I take this opportunity to express our deep sense of gratitude and indebtedness for the magnanimous gesture of Govt. 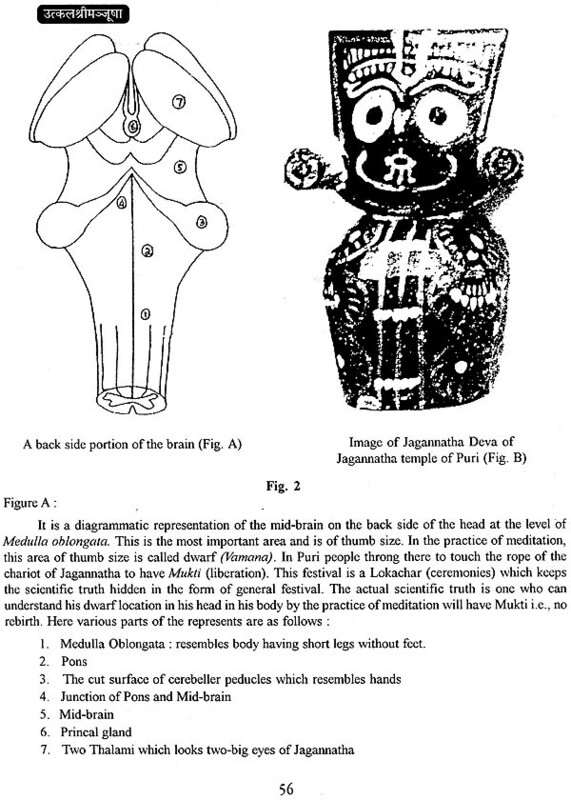 of Orissa and the then Chief Minister Vidyavachaspati Sri Janaki Ballav Patnaik in sanctioning a corpus fund of Rs. 50 lacs for the establishment of Orissa Chair. We are also highly grateful to Prof. Ramaranjan Mukherji and Prof. S.B. Raghunathacharya former Chancellor and former Vice-chancellor of R.S. 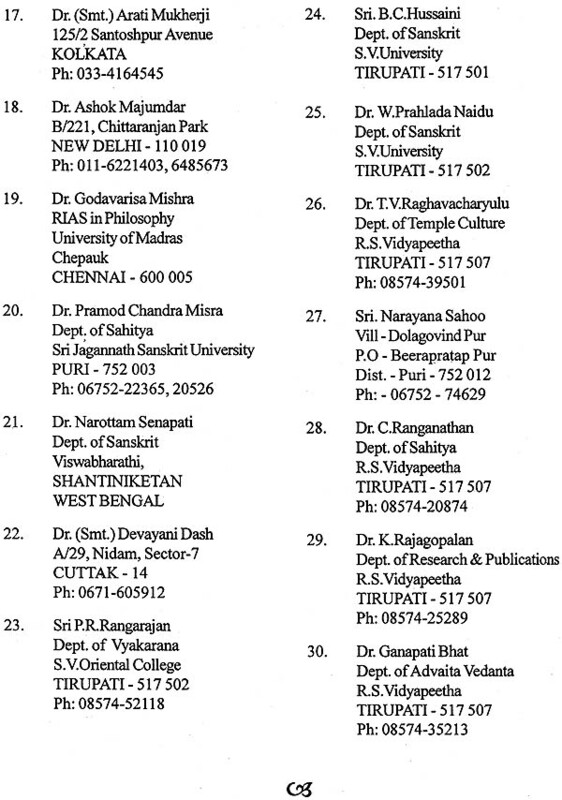 Vidyapeetha respectively and Prof. H.K. 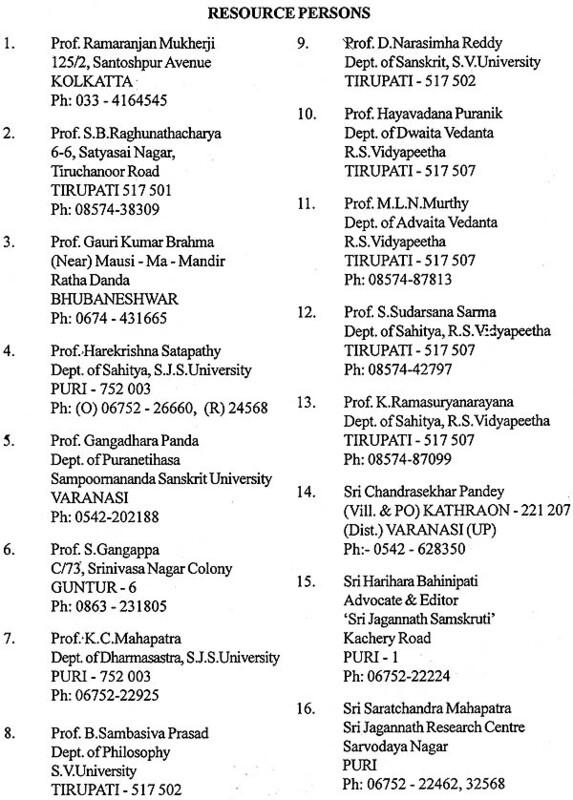 Satapathy, former Vice-Chancellor, S.J.S.V Puri for their splendid, fruitful efforts in pursuing the Govt. of Orissa for the establishment of Orissa Chair in this Vidyapeetha. I congratulate Dr. R. Devanathan, Co-ordinator and Dr. S. Dakshinamurthy Sarma, Sri Kailash Chandra Dash and Sri Kailash Chandra Nanda, Research Associates under the Orissa Chair for organising the Seminar and bringing out the proceedings beautifully.